In January I introduced you to the Poo Ponds in Broome and after all the rain we have experienced in the recent months I thought I should let you know about the changes. The Water Corporation are currently building new larger Poo Ponds and we can’t access them at the moment. We are unsure as to what the bird population is there, but there are a lot less birds present at the old ones. 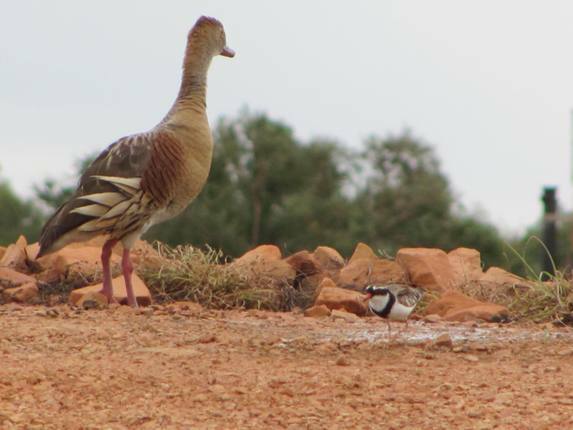 With all the rain we have had the birds are spread across the whole continent and Alice Springs has had some amazing records recently. They had to close their Poo Ponds to tourists/birders recently due to a feral dog problem, but this has been addressed and access is now possible. We are not allowed into our ponds, so they are very lucky in Alice Springs. Of course there are always warnings! Previously we had hundreds of Plumed Whistling-Ducks, but the remaining ducks were very few. Those that had stayed had bred, though and there are a few family groups. 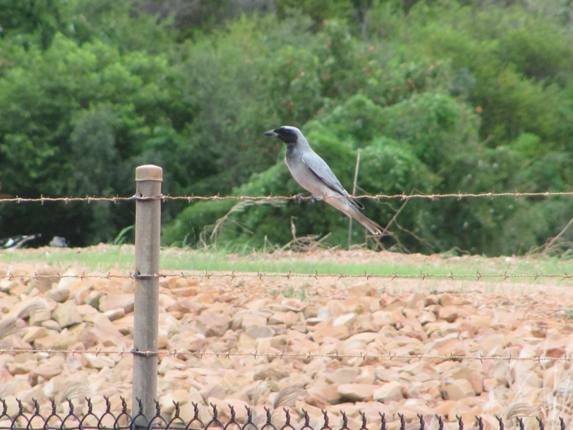 They mix well with other visiting birds and spend a lot of time standing around on the Poo Pond rock walls. 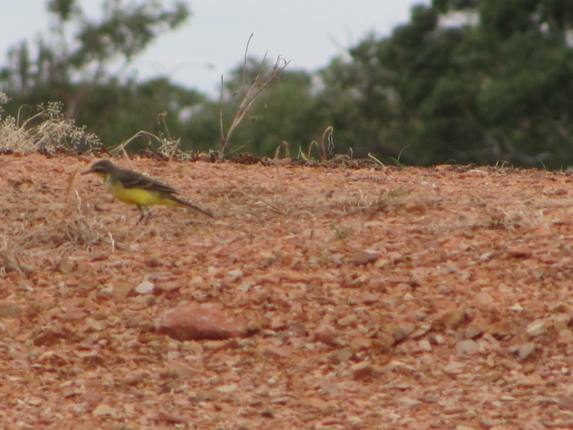 We have had Yellow Wagtail present recently and they run along the rock walls chasing insects. 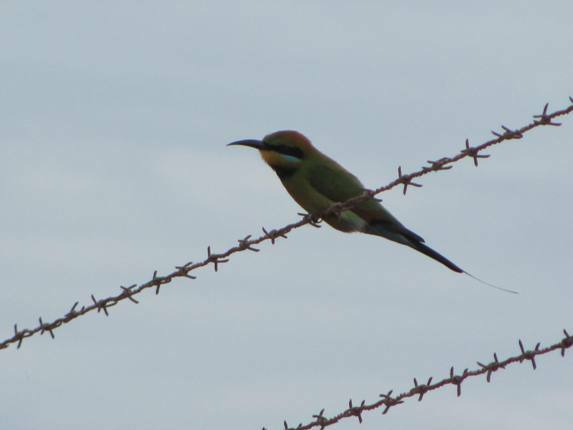 Not the easiest birds to photograph when they are so active….especially when trying to not photograph the fence!! 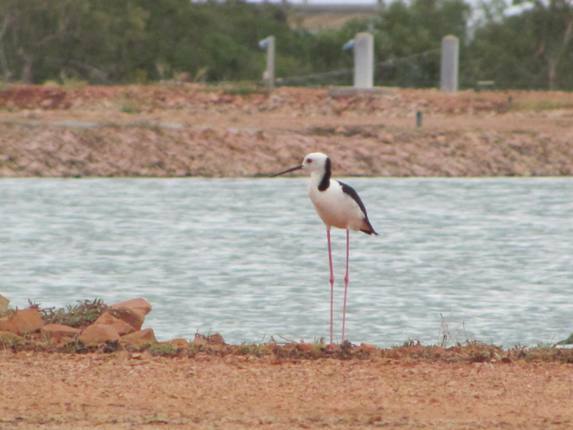 The majority of the Black-winged Stilt appear to be inland at the moment and no doubt we will see a larger population later in the year, but the few that are present at the Poo Ponds are beautiful birds. The length of their legs really does not look natural, but is of great use to them as they wade through water looking for food. The fence around the ponds can be frustrating when you are trying to take photographs, but many birds take advantage of it and rest in between feeds. As you can see we are rather unoriginal with our bird names! 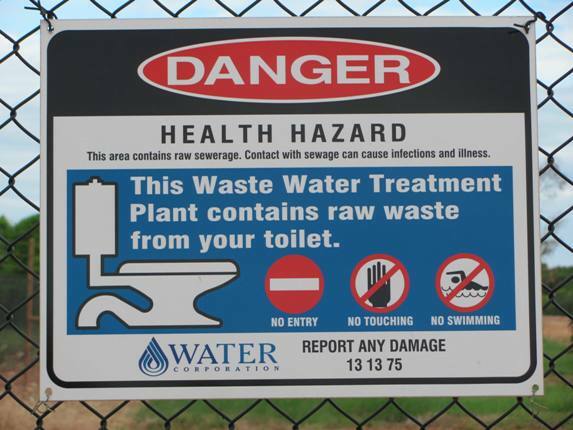 We say it like it is…..just the same as we say “Poo Ponds” rather then Waste Water Treatment Plant! Great collection of birds and photos. Looks like a great place for birding. Having been to Broome poo ponds, I have always been surprised why nobody has not built a platform or two for better viewing …. it would not take much height to give MUCH improved views. I hope this has change in the past couple of years. @ David-sadly there is no platform still. There was one at Derby Poo Ponds and then they said it was “risky” so it was removed. Generally people stand on their side steps of their cars, or even their roof….they are not as solid as you would think! When the Semipalmated Plover arrived in October 2009 you knew who had seen it well by the dent in their car roof! Too bad you can’t go in, what a paradise! Where’s the fun in that?!? @Nicole: ja, im Moment absolut viel zu tun! Vielen Dank für die Kommentare auf Belltowerbirding!